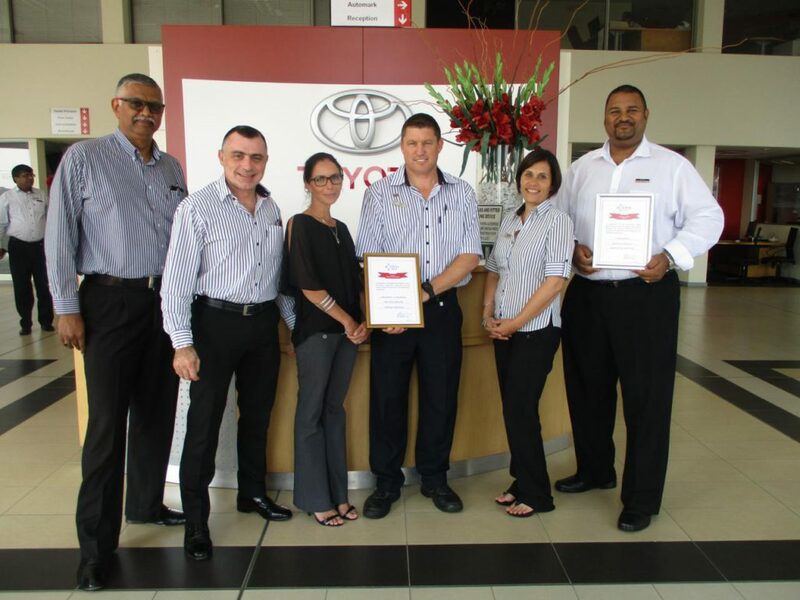 CMH Toyota Umhlanga and CMH Lexus Gateway did CMH proud when they won several awards at the CMH All Star Awards on Wednesday, 9th May. The prestigious evening was hosted at Durban Country Club in the presence of group CEO Jebb McIntosh. The All Star Awards is an annual event that recognises and rewards employees in the CMH Group on a national level. Claire Needle and Greg Keague took top honours in the entire country bagging first place in the CMH Workshop Scorecard. This is a very prestigious award as it is measured by customer service excellence and overall profitability. 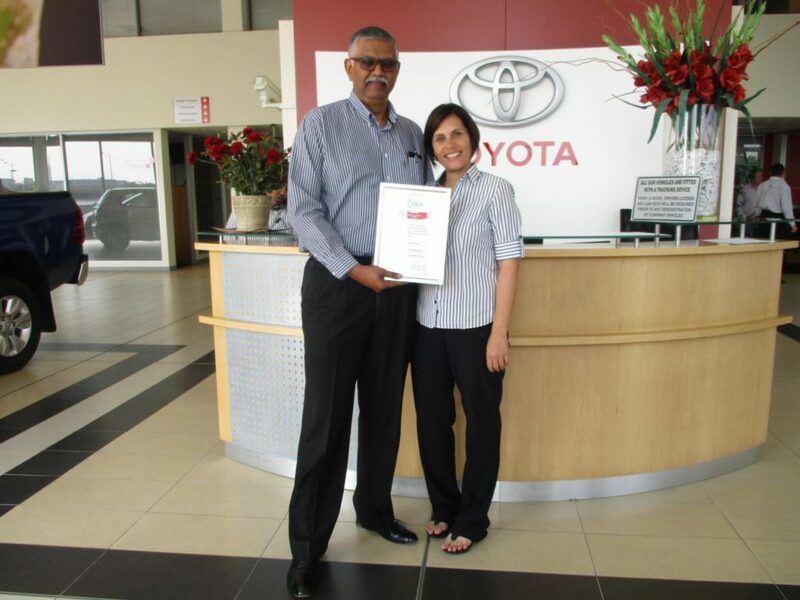 New vehicle sales made CMH Toyota Umhlanga proud when Daleen Labuschagne and Naresh Maharaj finished as silver members for outstanding sales. This award is measured by consistent sales achievement and profitability. It is particularly a great honour as only 25 people in the entire group qualified for this award. 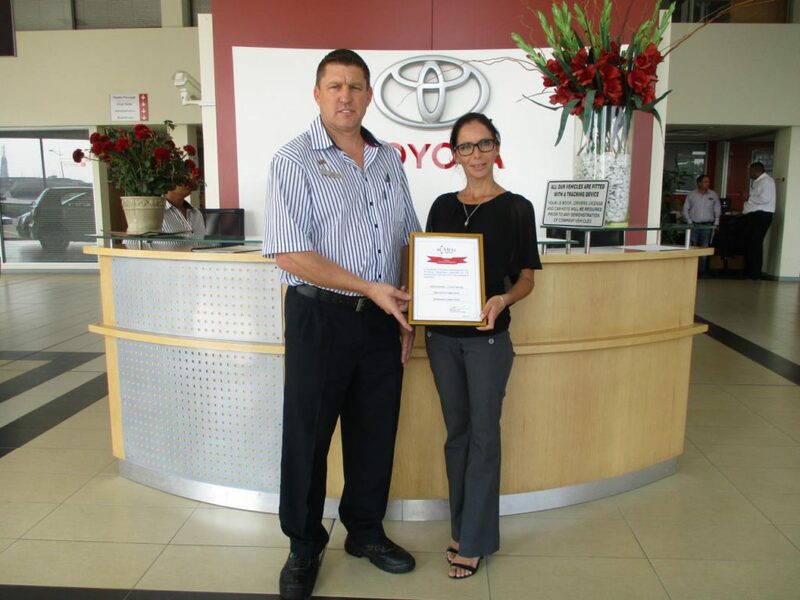 Daleen also recently received an award from Toyota South Africa for sales in excess of a hundred in 2016. Huge and heartfelt congratulations to each of the well-deserved awardees and may you be an inspiration for each and every staff member to excel. The sky is clearly not the limit.